Invitation to the Winckelmann Lecture. This year’s Annual Open Meeting of the DAI Athens (Annual Report of the Directress and Winckelmann Lecture) will take place on Friday, 11 December 2015, at 18.00. 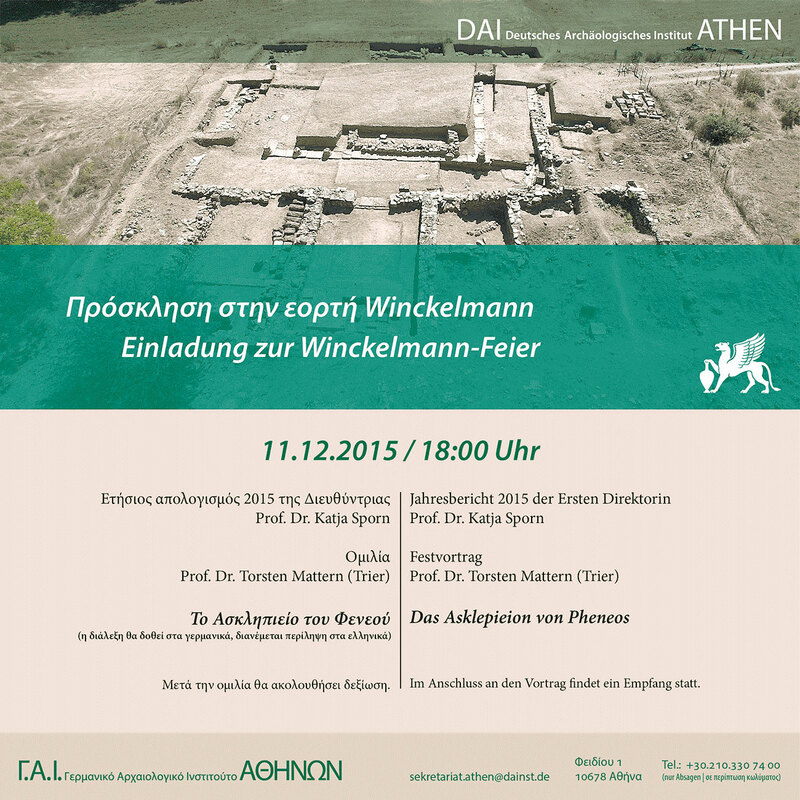 Professor Torsten Mattern (Trier) will deliver the Winckelmann lecture on: “The Asklepieion of Pheneos”.